Summer is finally upon us and to celebrate, Bite to Savour are releasing their seasonal summer box on the 1st of June, which is full of Northern Irish artisan food produce. Bite to Savour are an innovative and dynamic business who are passionate about supporting artisan food and helping small producers develop their brands and businesses. The forward thinking founder, Jenna Stevenson, 29 and mum of a beautiful baby girl Annabell, began this venture in 2014 with the dream of changing the homogenised food market and helping these micro business blossom into something formidable. Artisan businesses may be small but collectively they are a vital part of the economy and give tourists a true taste of our wee country, with most of the premium ingredients being grown & sourced locally. 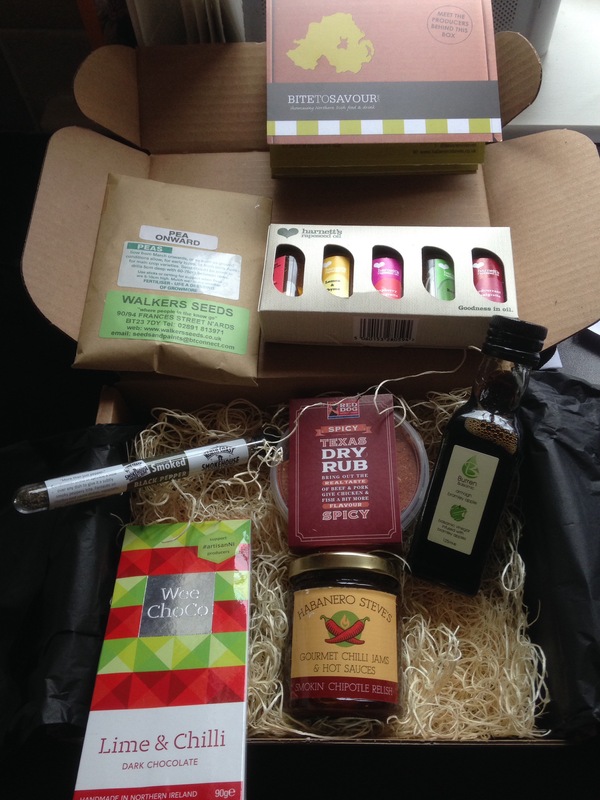 Bite to Savour create seasonal subscription boxes delivered straight to your door four times a year, for less than £29 each. Open your taste buds to over 50 local food companies by subscribing to Bite to Savour’s subscription boxes at bitetosavour.com and receive wonderful surprises every season. You can also create your own custom gift box in the fabulous Studio Souk in Castle Lane, Belfast. Here you can carefully select your own products to suit any special occasion, in the knowledge that you are supporting local sustainable businesses while trying something new and exciting, that isn’t mass produced. Picked mine up this morning and it’s awesome! !